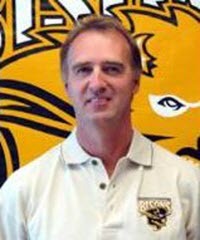 A lot of people have probably never heard of him, but Canadian Garth Pischke has become one of the winningest colleges coaches of all time during his 30+ year tenure leading the University of Manitoba men's program. This is after being one of Canada's best national team players. Head Coach of the Canadian National Men's Volleyball Team from 1996-2000 and guided them from 21st in world rankings to 10th. Garth's interview is also featured in the first Volleyball Coaching Wizards book.